When people think SUP they often picture someplace far off like Hawaii. What you might be surprised to know is that Central Europe is chock-full of paddleboarding in its own right. We’re going to give this region its due and devote a few posts to the extraordinary paddling opportunities a little closer to home. For most of us making use of our boards means picking a destination we can get too without hassle, palm trees or not. If you’re willing to trade visions of Waikiki’s boardwalk for the reality of lakefront bier gardens you won’t be disappointed. Are you ready to SUP Bodensee yet? Our SUP spots are so pristine you’ll forget there’s any place else to paddleboard. The high points don’t stop at the shoreline either. Each of our picks has it going on whether you’re on land or out on the water. 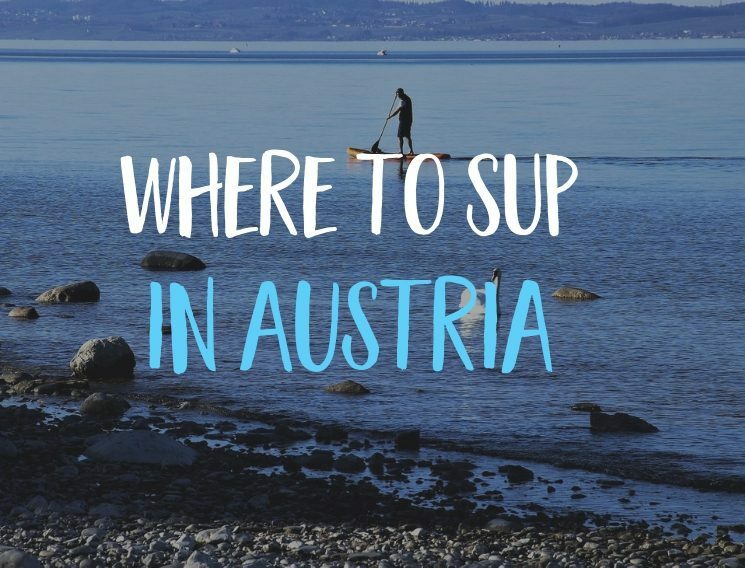 Alpine scenery, easy access and even some historical architecture make each of Central European SUP lists crowd-pleasers. It’s hard to imagine but some families do have a member or 2 that haven’t converted to the SUP life, YET. They’ll appreciate the land based action while you get your paddle on. Lake Bodensee is known as Lake Constance in English and is a paddleboarders dream by water or land. Because it’s situated between 3 countries the sites here are truly international. The Austrian coast is the smallest but it’s also the best base for reaching both Germany and Switzerland to hit all 3 countries in one go. The tremendous size and beauty of this lake are ideal for a long range Alpine SUP tour. The wealth of transportation in the area also make it perfect for travelling from point to point on land with your iSUP. Mainau Island – Home to 18th century Mainau castle, millions of flowers and its own butterfly garden. Bregenz – Waterfront town with thriving summer opera scene. Take the gondola up Pfänder Mountain for breath-taking views of Bodensee and the Allgäu. Had a social media detox for a couple of days ? And now I’m back , full of energy and feel very inspired to creat? Picture the most perfect alpine village imaginable on an electric blue lake set against a rugged mountain backdrop and you’ll have Hallstatt. This entire area is a UNESCO world heritage site with good reason. Hallstattersee lake is stunningly beautiful and makes for heavenly SUPing. You might actually be torn between the views from your board and the scenery on land. The Dachstein cable car goes up to the area’s famous ice caves and also gives an incredible view of the area. The Hallstatt Salt Mines have been active in one form or another since the Bronze age making this a history buff’s dream. The world heritage Skywalk is suspended 350 meters above the town which is already at an altitude of 511 meters. You’ve never paddled past so many exotic cars. Worthersee is in southern Austria not too far from the Slovenian border. This region as with the others is famous for skiing in winter and hiking in summer. Alpine vistas abound and the water in this lake is that special glowing blue that can only be found in this region. The town is a classic holiday spot for Austrians looking for lakeside fun and is well set up for paddle boarding. If you go in May for Wortherseetreffen you’ll have the opportunity to paddle past more exotic cars than you’ll ever see in one place. Worthseetreffen might be Europe’s funkiest car show. Modified classics and shiny new super cars line the lake making for some pretty unique scenery from your SUP. Pyramidenkogel tower is just outside of town. The viewing tower on top of the mountain gives a killer panoramic of the lake and the mountains all the way into Slovenia. Neusidler See is a little different from the other spots on this list. It’s incredibly shallow and it’s also not high-altitude. Neusiedler See is actually the lowest point in Austria and at only 1.5 meters deep for the most part, it’s probably the warmest lake in the country. All the way to Austria’s eastern border, Neusiedler See shares its shoreline with Hungary. This lake doesn’t boast the electric alpine blue water of the others but it is a perfect spot for an international SUP expedition. The water is calm, the weather is more stable year around than at high altitudes and you can mix vineyards into your paddling. The vineyards are either shore of the lake. This area produces fantastic Chardonnays, very refreshing after a day on your SUP. Esterházy Palace is a Baroque masterpiece. It’s also part of the reason this area is also a world heritage site. Seewinkel is fun to say. It’s also Austria’s only national park situated in Steppeland. Meadows, wildflowers, and bird watching abound here. It’s hard to differentiate between any of these spots using the word “ideal”. 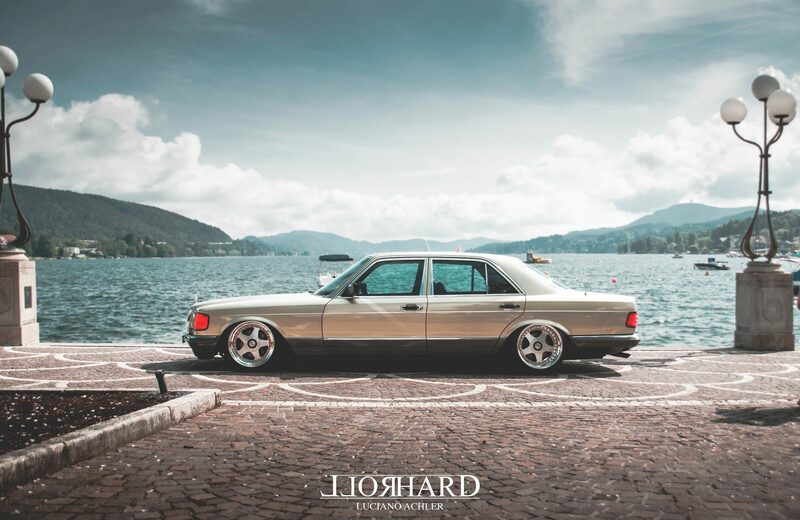 If we had to choose, Wolfgangsee might have to be it. This lake isn’t too far from Salzburg and is a favourite summer vacation spot due to the stunning surroundings and other neighbouring lakes. Wolfgangsee has been the scene of a classic opera, the setting for quite a few films and the summer haunt of a German chancellor. The White Horse Inn and their incredible spa. After a day of SUP, hang out in the heated pool which is submerged in the lake. Paragliding on Zwölferhorn Mountain. Take the cable car up and hike the Pillstein panoramic trail before paragliding back down to the lake. @SUP247com for their sundown shots of paddleboarders in neusiedler see.